This year, Boheem is participating in the Arthouse Co-op's Sketchbook Project. 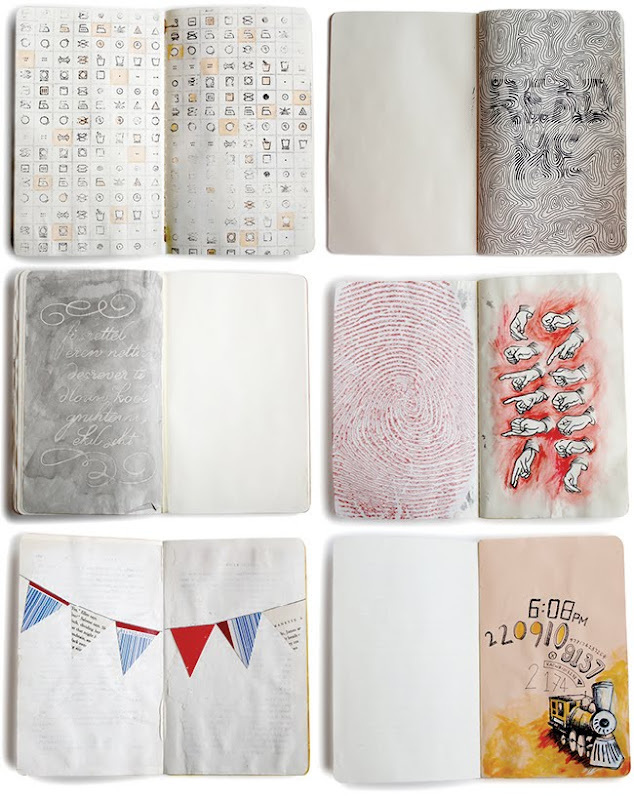 It's a basically a massive, global collaborative artistic event whereby artists and designers from all over take a Moleskin Journal, fill it with stuff and then release it to tour around the US and then end up in the Brooklyn Art Library. Our journal's theme is "Secret Codes", and so far the team have come up with some really lovely, playful (as well as clever and conceptual) compositions. The books will be available to view online after the tour finishes.